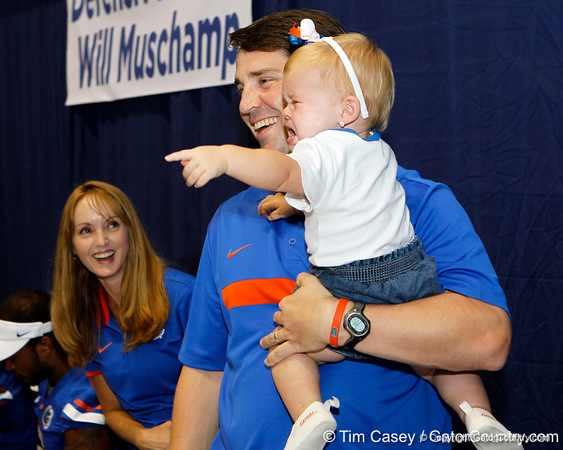 The Florida football and volleyball teams held their annual Fan Day on Saturday in the Stephen C. O’Connell Center. Hundreds of fans attended to get autographs from members of both teams, head football coach Will Muschamp, the volleyball coaching staff, cheerleaders, Dazzlers and Gatorettes. In addition to the autograph session, the volleyball team held its annual Orange & Blue scrimmage.